By Brian Hoey. Feb 4, 2019. 9:00 AM. These are the opening lines of Susan Sontag’s seminal exploration of cancer’s mythology in modern life, Illness as Metaphor (1978). The book’s most enduring impact has been to shed light on the victim-blaming nature of many of the narratives that surround the disease, but her opening bout of lyricism reminds us of a much more obvious truth: that cancer and other illnesses don’t just touch, but envelope our lives, whether through our own experiences or the experiences of loved ones. For World Cancer Day, let’s take a look at some of the authors whose experiences with cancer have yielded important works of literature. Though Sontag’s Illness as Metaphor doesn’t ever directly reference the author’s own sickness, it was conceived and composed while she was being treated for the breast cancer that would ultimately cause her death. The book is at once a take-down of the rhetoric that surrounds the illness and a meditation on the history of how we represented the sick, both to others and back to themselves. She compares representations of cancer in the 20th century to representations of tuberculosis in the 19th, exploring the ways in which the sufferers are blamed for their own lack of “spirit” or “passion.” The book remains an important critical text, possessing Sontag’s inimitable combination of clear-eyed analysis and impeccable sentence-craft. Sontag may have taken issue with the use of cancer as a metaphor, but Soviet dissident and 1970 Nobel Laureate Aleksandr Solzhenitsyn embraced it. (Actually, Sontag herself claim that the book resists metaphor, but we may have to agree to disagree on this score.) The famed author of One Day in the Life of Ivan Denisovich (1962) and The Gulag Archipelago (1973) was able to mine his own experience with cancer treatment into an allegory of the bloody realities of the Soviet and Stalinist projects. The result is Cancer Ward (1968), a partially autobiographical novel that was banned almost as soon as it was published. In it, characters in a Soviet cancer ward grapple with the lasting moral and political effects of the Stalinist Purges, dealing honestly with a violent and confusing past. 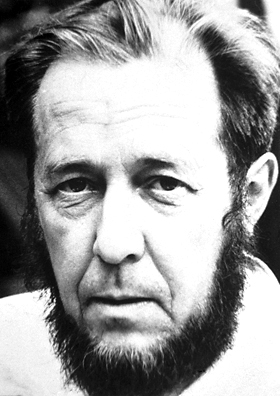 Though Solzhenitsyn’s treatment was ultimately successful (he would die of heart failure when he was approaching 90), his outlook on the possibility of healing and recovery as a nation was bleak. Audre Lorde’s impact as a writer is hard to overstate. The poet, memoirist, and activist spent decades discussing issues of civil rights and intersectional feminism in a body of work that is by turns outraged and inspiring. She also had breast cancer, and she writes about her experience in treatment and recovery in The Cancer Journals (1980). Much of the work is actually drawn from the personal diaries she kept during her ordeal, and they contain exactly what fans of Lorde’s writing would expect: an impassioned look at illness, beauty, fear, and survival conveyed through a Black feminist worldview. It stands with Zami (1982) and Sister Outsider (1984) as one of her most read and most cherished works. Cancer was a topic that Clifton had already gained an intimate familiarity with by the time she herself was diagnosed. In fact, her most famous poems on the subject were written not about her own disease, but about her husband Fred’s. In 1987’s Next, she writes with intensity and bewilderment about her husband and the other patients with whom he shares the ward. Less than a decade later, she tackled her own experience with breast cancer in The Terrible Stories (1996). Though the cancer would eventual kill her at age 73, the poems she leaves behind are an indelible record of her attempts to come to grips with a changing body (she envisioned her mastectomy as analogous to a mythological Amazon cutting off a breast), rendered with her inimitable blend of humor and incision. Okay, it might not be entirely fair to call Max Ritvo, who died in 2016 at the age of just 25 (after 10 years of living with Ewing’s Sarcoma), legendary. But he was a gifted young poet whose posthumous collections deal adroitly and humanly with his illness. Helen Vendler likened him to Keats; Dan Chiasson at The New Yorker compared him to Emily Dickinson (both of whose oeuvres were mostly posthumous publications); Louise Glück (whom he studied with at Yale) remarked on his ambition. It’s possible that he’ll be remembered (if he is remembered at all) for the potential he didn't live long enough to reach, but the poems he leaves behind really do speak for themselves. Here is someone who was “a citizen of that other place” for almost half of his life, and who grew up using that onerous passport. In a late correspondence with Justin Boening, Ritvo said, “you don’t make jokes because they distract you from the more negative aspects of your fear or sadness. Making a sad thing funny makes it a little pleasurable.” The same might be said about his poems, which, like many of the works on this list, give us pleasure in a world that can so often, we know, be marked by pleasure’s absence.